Guests have many restaurant options within a short distance of the Penny Farthing Inn. Many varieties of food to satisify your tastes. 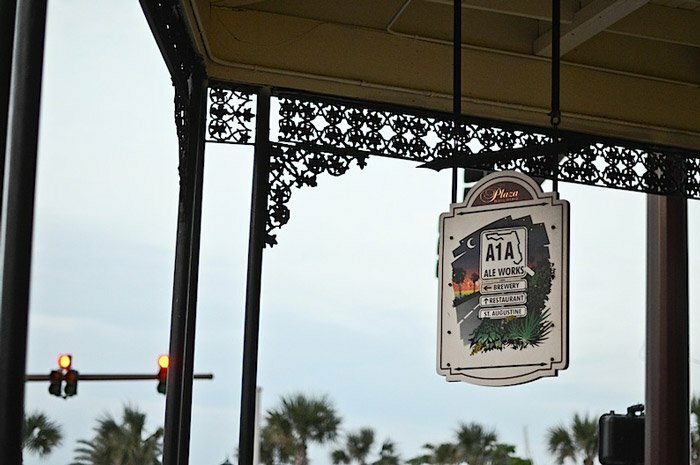 A1A Ale Works’ passion for fresh seafood has been a hit since day one. Our menu features a variety of Caribbean, Cuban, and Florida influences. Our fish selections are picked daily by the chefs and provide the freshest flavors St. Augustine, Florida, has to offer. Located in historic St. Augustine, our dining room and private function facilities overlook the scenic Matanzas Bay. Handcrafted and brewed to excellence, A1A Ale Works goes to great lengths to serve each guest the freshest beer possible. This commitment to serving nothing but the finest and freshest beer has led to numerous awards. 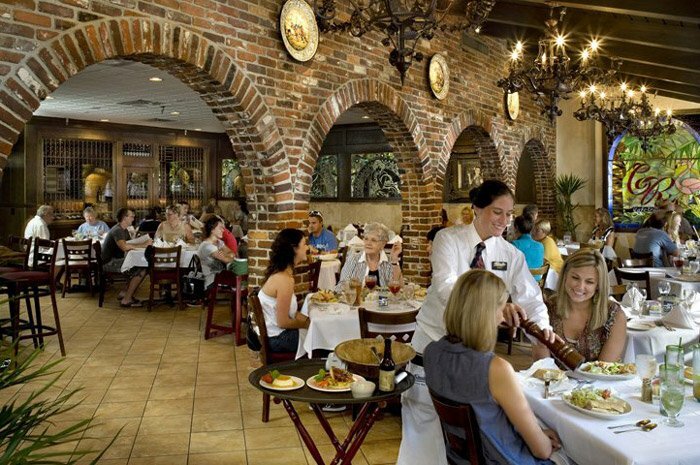 The Columbia Restaurant serves Spanish/Cuban cuisine amid beautiful hand painted tiles and Spanish fountains. Have lunch or dinner in the courtyard and enjoy the beautiful sites and sounds of the historic district. Harry’s has a distinctively different menu, the food captures the essence of a city not only known worldwide as the birthplace of Jazz but also the birthplace of a unique style of cooking – New Orleans. We’ve taken the best of Cajun, Creole and Southern flavors infused with a current day twist to create some of our most popular dishes like Shrimp and Scallop Orleans, Grilled Chicken Baton Rouge, Crab Crusted Blackened Red Fish, Bourbon Street Salmon and French Quarter Beef Tenderloin to name a few. With a great selection of Seafood, Chicken, Beef, Pork along with Burgers, Po ‘Boys, Salads and much more, Harry’s menu is sure to have something for everyone. 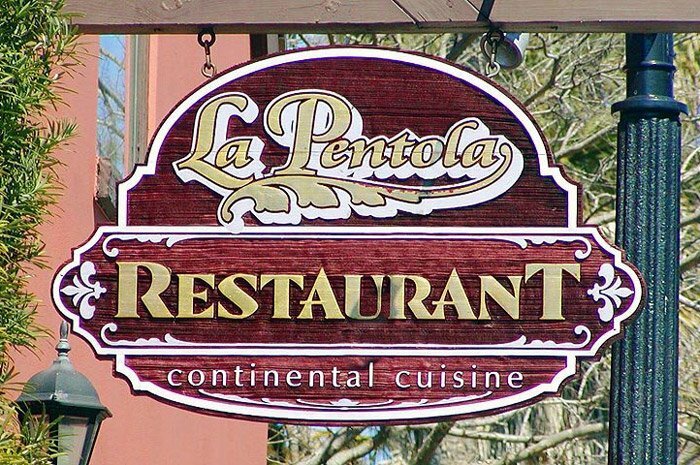 La Pentola's owners Susan and Jorge Talavera invite you to enjoy creative continental cuisine for lunch, dinner, and Sunday brunch in their historic downtown St. Augustine restaurant. Enjoy a St. Augustine fine dining experience. We have a relaxing, intimate atmosphere infused with Mediterranean ambiance with indoor and courtyard dining. Enjoy seafood, prime steaks, wild game, innovative pasta, entree salads, and house made desserts. Chef Talavera, from Guadalajara, Mexico, specializes in Mediterranean and Latin specialties. 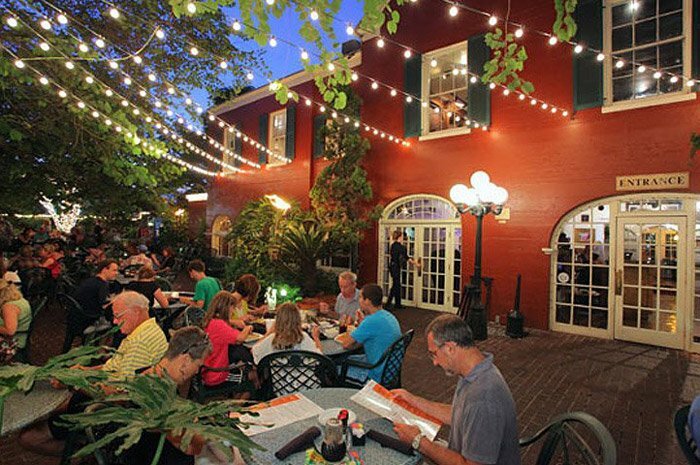 This is the best of St. Augustine restaurants that serves fine wines, beer, and gourmet coffee. 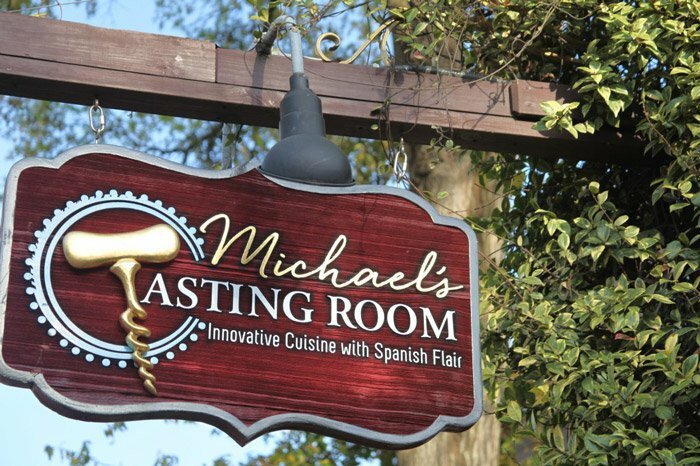 The Tasting Room is tucked in the heart of historic downtown this local treasure is not one to miss, having won FIRST place for • BEST Tapas • BEST Chef, • BEST Upscale Dining and BEST Wine List in “The Best of” St. Augustine Competition 2013. Inspired by the surrounding sea, St. Augustine's eclectic history and “bigger city” culinary benchmarks, The Tasting Room delivers innovative dishes with expert ease.